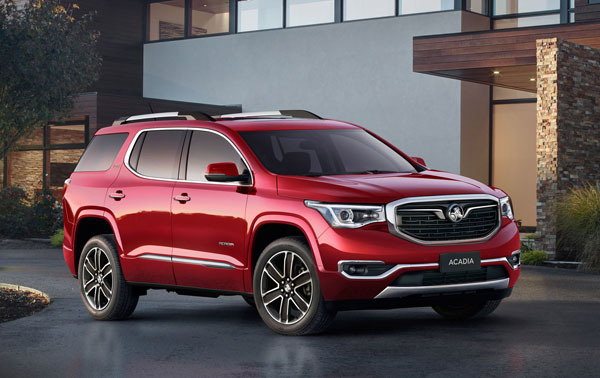 Holden Acadia seven-seat SUV isn’t due to go on sale until the final quarter of this year. But many are already on the road in Australia on their final stages of real world testing. 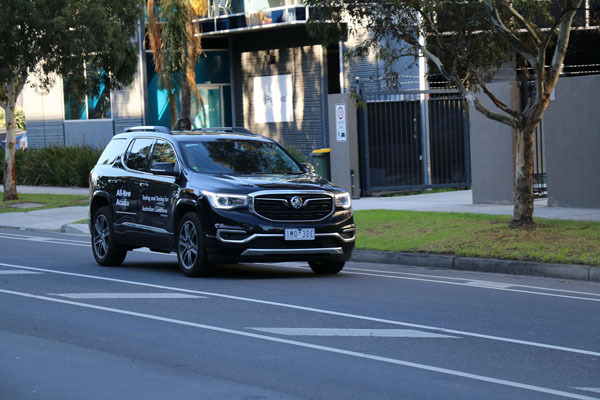 Two years of Australian engineering input to the Acadia have already been carried out here and in the USA and a 30-car fleet will cover about 1.5 million kilometres as the final stages of development. 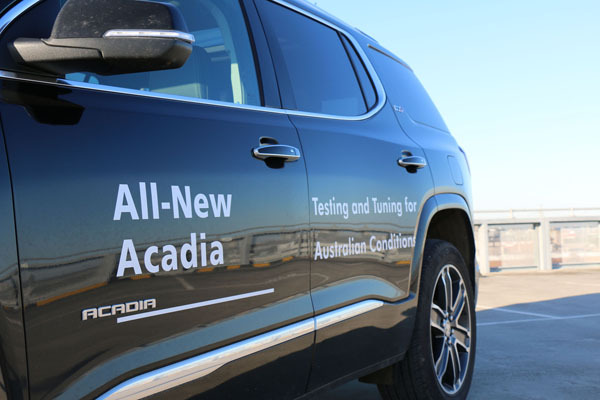 The real-world test program is not only to check that Acadia drives well on our roads, but also to fine tune features such as Traffic Sign Recognition, Auto Emergency Braking and Lane Departure Warning of Australian road markings and signs. The Acadias will be driven daily on Australian roads by a wide range of Holden employees and their families, of different ages, locations and occupations. They will meet a huge variety of conditions, including tram tracks and gravel roads. Just as importantly they will test typical day-to-day problems caused by by children spilling food and drink on seats! And the ease of cleaning afterwards. Acadia is a large SUV with what Holden describes as, “a touch of American swagger”. It’s powered by a 3.6-litre petrol engine and will be sold with front-wheel-drive or all-wheel-drive. We’ve already had a brief drive of a Holden Acadia at the company’s Lang Lang proving ground in Victoria. That wasn’t really enough to make comments on its performance or handling, but we can say there’s good interior space – and that touch of American swagger is certainly there. Stay tuned for additional information and drive impressions on the Acadia they come to hand.